It’s Spring time, the moment when flowers blossom and everything looks more colourful and pretty thanks to them. Who doesn’t like flowers? I don’t really know anyone who doesn’t. Using the flowers as a catch, I transform my ESL lessons into Science lessons without my pupils really noticing any difference. To introduce the subject, we watch an episode of Peep and the big wide world called “Peep plants a seed”. It is adorable! This episode gives us the chance to start talking a little bit about who has got plants or flowers in their homes, who takes care of them, etc. Besides, I found a great song called “The planting song” with a fantastic video that reinforces understanding the process of how to grow a plant. I’m in love with this song, it is so catchy! Something quite exciting to do, if you’re school has got a garden, is to do what Peep does in the episode and plant some seeds and see what happens. Now that we know what a plant needs to grow it should be ok! Every day, some pupils can go and check the evolution of the seed and keep a record by taking a photo and writing down what’s in there. A nice worksheet to work on what they are doing is this one you can see below. On the left there is the task to do and on the right the images to be printed out and laminated so you can use them as an example when explaining the activity. Most young children have great curiosity in the atmospheric changes. Making a good use of their curiosity towards certain topics can be the best way to catch their attention and motivate them when learning a new language. Commenting on the weather is a class routine that I always do at the beginning of the lesson. However, to be able to answer to the “What’s the weather like today?” question, they have to acquire the key language. There is this lovely story from the Hello Robby classbook that I adore using to work on the language related to the weather. It is important that you always tell them the story first with your own voice rather than using the audio or the video version. Children love listening to their teachers telling them stories or singing just for them, it creates a magic bond! I made this video of the story using the storycards and the audio so we could watch it when trying to re-tell the story altogether and check what bits we forgot. 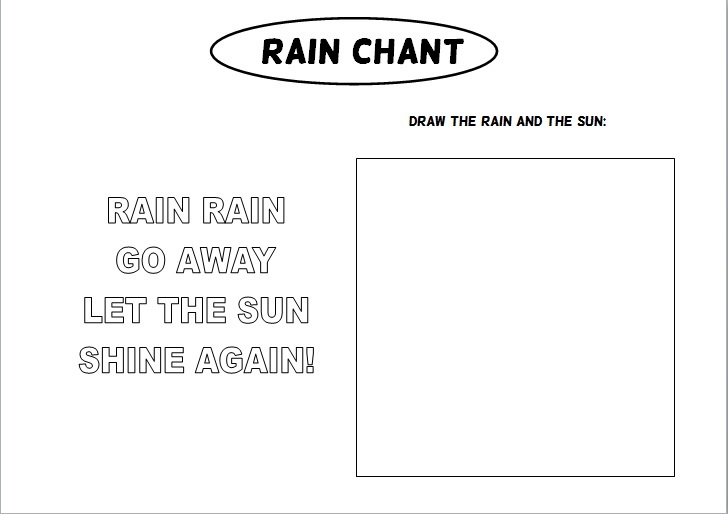 I also like teaching them a chant where the words “rain” and “sun” are the main focus. The pupils love saying it in different ways: slow, flast, loud and whispering. We laugh so much!!! 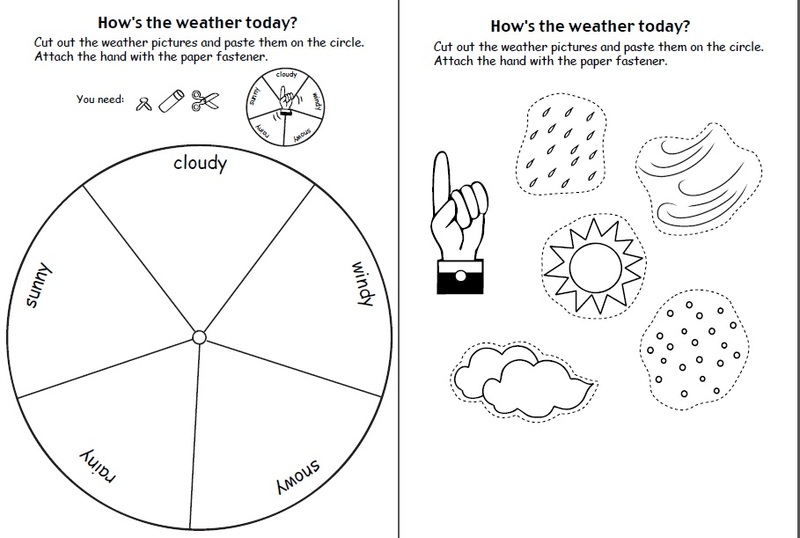 Moreover, depending on the age of the preschoolers, there is this “weather wheel” that they could make and take it home so they can play with it. Oh! I also found this online game that we can play altogether in the classroom if you happen to have a smartboard or just let them know the website so they can play it at home. Relating the use of the target language to having fun, is the best you can do to make sure the pupils are going to acquire it naturally and as if it was a game.